buy propecia ebay http://thezerowastebackpacker.com/simple-diy-make-reusable-fresh-produce-bag/img_0020/ Michael C. Sherwood: After earning his MBA at Indiana Wesleyan Graduate School of Business, Mike began his career in banking and investments as an investment advisor at a national bank. That move led to a career path as an Investment Center Manager, Banking Center Manager, Regional Investment Manager, to his current role as President at Sound Investment Solutions. Prior to earning his MBA, Mike received his bachelor degree from The Pennsylvania State University where he earned his commission as an officer as an R.O.T.C. graduate and served a total of 13 years in the United States Army and United States Army Reserve. 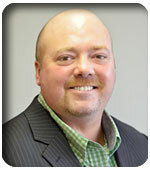 Mike has over 14 years of experience in the investment industry. 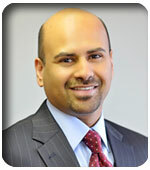 Hans J. Thottukandathil: Hans received his bachelor degree in business with a minor in finance from the University of Wisconsin and began his financial career as a member of management with a national bank. His career path led him to get licensed to sell investments and insurance as a member of the management team of the bank and ultimately served as the lead investment advisor in the Kenosha area before becoming a President at Sound Investment Solutions. Hans is currently a Certified Retirement Counselor.